The training programme is designed with the objective of the oretical and practical training in Homoeopathy to meet the needs of Homoeopaths. Participants are trained with intensive, interactive learning, live case discussion as well as by inspiring presentation & gleaning methods of speakers. Add to your clinical competence by viewing daily live cases in our OPD & IPD, you will be asked to focus your understanding in an atmosphere of cooperative enterprise. Here case analysis techniques are put to the acid test. You will be asked to work on cases, firstly in groups & then individually. Finally groups present their findings, with everyone coming together in general classroom discussion with renowned faculty on medicine selected its repertorization in detail. We feel that you should come, not only to put theoretical knowledge but apply it into practice in a safe therapeutic environment, not only to deepen your understanding of homeopathic methods, but also to listen and to learn from each other at bed side discussion on many patients with various diseased conditions. This intensive, interactive learning opportunity is for students as well as practiceners .Our primary stance is to listen and give what you want , guiding when you get stuck or persist on a tangential path. Only later we will step into expert position and give interpretations of the case issues ,Miasm theory and showing how this relates in a practical way to finding a similar remedy & discuss Materia Medica , organon & repertory with their practical application. Faculty in study programme loves to blend old and new ideas of comparing medicines on spot and weave information together in a noteworthy and memorable way for students. 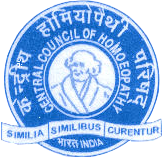 The resource pool consisted of well qualified, experienced & International experts of Homoeopathy. University is located in the vicinity of Jaipur - The pink city of India on a sprawling piece of landscaped earth furnished with latest instruments and top line facilities. Homoeopathy University is emerged as a Center of Excellence in Homoeopathy education & research where learning shall be an ongoing process and knowledge will be exhaustive, where education shall be a tasteful blend of ethics and where grooming shall involve optimum usage of resources to be globally responsive and utilitarian.